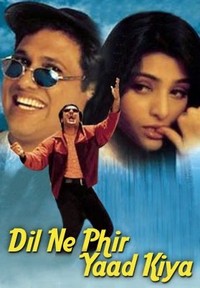 Review Summary: On the whole DIL NE PHIR YAAD KIYA is a non-starter. On the whole DIL NE PHIR YAAD KIYA is a non-starter. A dismal copy of Yash Copra’s Doosra Aadmi, DNPYK is director Rajat Rawail’s latest release after the successful Pyar Tune Kya Kiya. But unlike that film, this one is a complete let down.